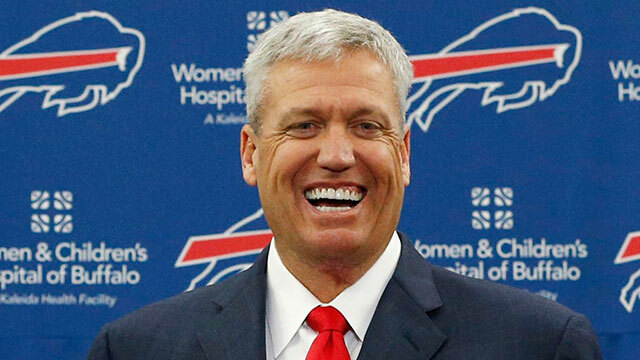 Rex Ryan as soon as he gets a win thinks he's the best football coach ever to live. Getting a win against the Cardinals on Sunday has got Ryan walking around with a bit of swagger in his step. You're 1-2 Rex calm down. "When you look at it, they've been the standard of this league, not just in our conference, division or whatever," Ryan said. "They've been the standard of the league. You want to put yourself up against the best. I think everybody saw what happened when everybody said, 'Oh, no Tom Brady, this team will be a disaster.' Well they're 3-0 last time I checked and beat some pretty good football teams. It would mean a lot. We need a win in the worst way. As far as the Patriots, my admiration is really for Belichick more than anything. Because as a coach, that's the guy, he'll go down as the best probably in the history of the game. I like poking fun at him, but there's no coach I respect more." Ryan has a laugh but he is also respectful to his opponents who he knows are a quality side. The AFC East has run through New England the last decade under the leadership on the field by suspended quarterback Tom Brady. Ryan still seeks his first win over the Pats since 2013 but I'm not sure it will be this week.